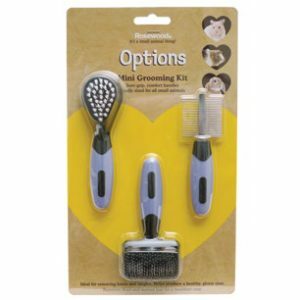 For more details on this product, and information on how to use it, please click ‘Description’ below. Purchase this product now and earn 220 Paw Points! Blue Cloud Dust is sustainably mined in Southern California. There is no strip mining, explosives, or tunneling used. Blue Cloud Dust is completely natural; there are no chemicals added during processing. Because the dust has natural characteristics that allow it to coat each hair and remove moisture and odour from fur, your pet will eagerly bath in Blue Cloud Dust. Directions: Pour approximately 1/4″ to 1/2″ dust into your pet’s dry bath. Place filled bath in pet’s habitat. Let pet roll in dust for 15 minutes a day. Discard dust once it has become soiled ever 1-2 weeks. Why Blue Cloud Bath Dust Is Better Than Bath Sand? Some pet owners are not aware, that not all bath dust are made the same, and it is important to buy only dust which is specifically labeled for Chinchillas. Most pet stores in South Africa sell chinchilla bath sand or clay which is not the same thing as bath dust. Bath sand or clay is not recommended for chinchillas because it can be rough on your chin’s fur and is not fine enough to do a really good job. Chinchillas have dense fur. Over time, oils and moisture collect in their fur. In the wild, chinchillas have no way to clean their fur other than to roll around in volcanic ash which acts as an absorbent. The finer the dust, the better. A regular dust bath is an absolute necessity for chinchillas. Taking a vigorous dust bath is one of their natural behaviors, and is how chinchillas keep their lush coats clean and healthy. Not only does this dust bath help to keep their thick fur smooth and silky, it is thought to be relaxing and fun for chinchillas. 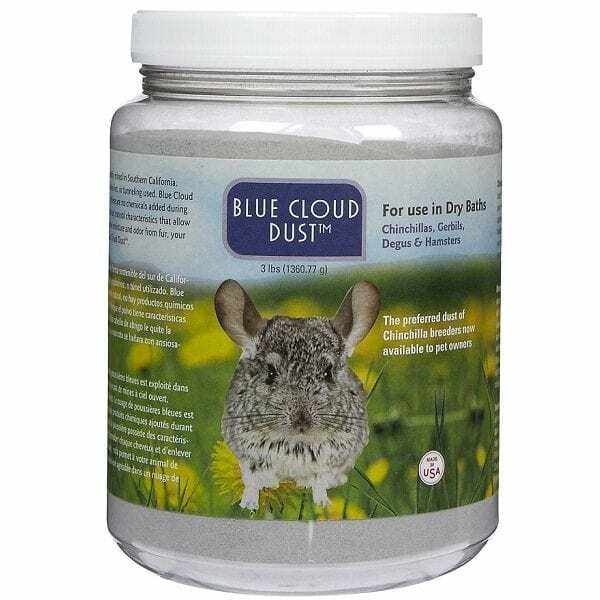 Blue Cloud is the best chinchilla dust you can use. This ultra-fine aluminum silicate powder contains no limestone, glass, or sand and shakes completely out of fur. It is specifically made for chinchillas for this purpose. When the chinchillas roll in Blue Cloud dust, it penetrates their coat down to the skin and absorbs oil and dirt from the fur and removes odours. Other powders, sand or clay may look or feel similar, but just won’t work the same way – Blue Cloud chinchilla dust is made to mimic what they would have access to in their native habitat. The frequency of such baths will depend on the climate you live in. Chinchillas in a dry climate will require fewer dust baths than a chinchilla in a humid climate. The dust bath should be left with the chinchillas for around 20-30 minutes. More often than not, they’ll stop using it before the time is up. Offer the dust bath to your chinchilla at least twice a week, typically in the evening when they are getting most active. Twice a week is usually sufficient, though you can offer the bath more frequently if your chinchilla’s fur starts to look rough or feels damp or oily. You’ll also want to watch out for dry, flaky skin on your chinchilla. If you see signs of this, consider increasing the time between dust baths. It is fine to re-use the dust for several baths. Make sure to scoop out any waste when the chinchilla is done each bath. If the dust starts to look clumpy or dirty, discard and use fresh dust.